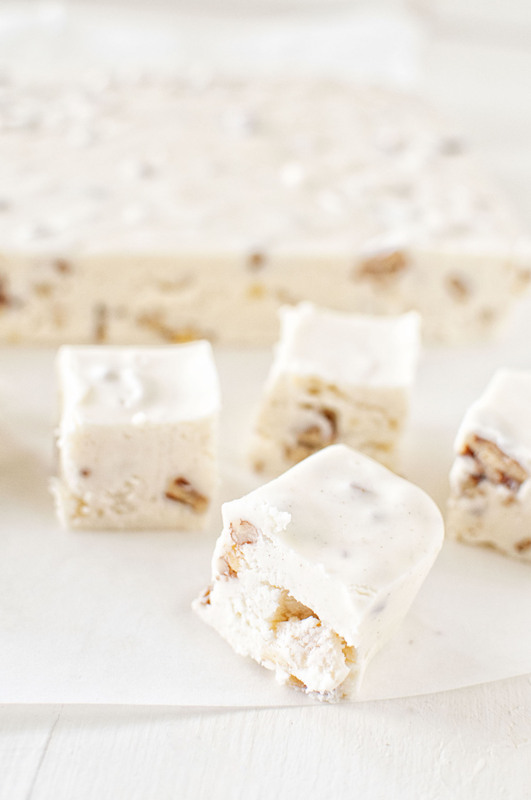 Hummingbird Cake Fudge: Classic Southern cake in fudge form. 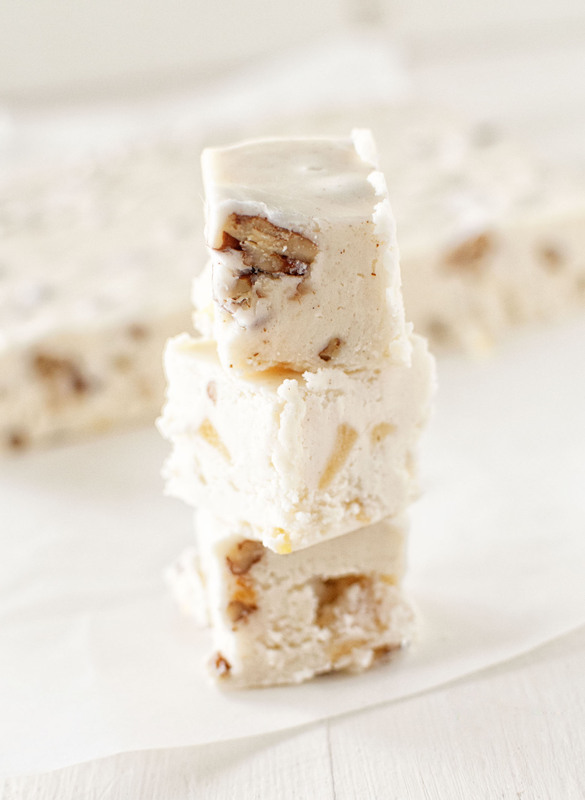 White chocolate based fudge with cake mix, cinnamon, pineapple, banana, pecans, and cream cheese icing flavoring. In case you haven’t guessed the girl who had an inflatable remote control operated R2-D2 at her wedding is rather excited about this. But since right after Star Wars there is Christmas here are a few ideas if you are still searching for gift ideas. #1. Unicorn lovers unite! Our food blogger buddy and long lost sugar loving sister Jessie aka Cakespy has come out with a book for all the unicorn lovers out there. It’s seriously cute. If you have a kiddo or adult for that matter who loves unicorns you should get this. And as luck would have it…it released today. You probably need this as well. #2 Toilet paper. Paper towels. Laundry soap. Yes, if you have a kiddo who has gotten their first apartment these are the type of things that cost way more than they ever expected and some how have to have. 🙂 Just as boring as socks but much needed. #3 Speaking of socks…I kind of need them all. #4 If you have a pet owner on your list these ornaments are a great and thoughtful gift and something that person will treasure after their pet has passed. #5 I love all things Pusheen the Cat….I even get the subscription box. This Christmas version of him is adorable. #6 For you baker friends how about this Gingerbread Man Pan. You can give it with a recipe. #7 This because it’s awesome. #8 My favorite cookbook all year…shocking it’s for bakers. I love Hummingbird Cake. I think it gets looked over a lot. If you are not familiar with it the cake is a Southern cake that is a banana-pineapple spice cake that has pecans and is topped with cream cheese frosting. 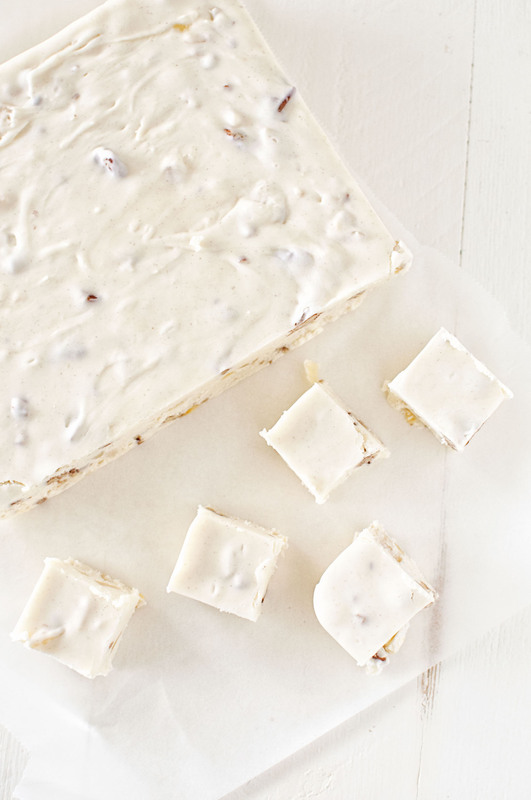 The fudge is white chocolate based with some cinnamon and cake mix. Then mixed in are some banana chips, dried pineapple, and pecans. To achieve the cream cheese frosting flavor I used flavoring from my favorite place for flavors, Wizard Labs. There is a link where to buy it in the recipe. Combine sugar, butter, and heavy cream into a large heavy-bottomed saucepan and bring to a boil over medium heat. Once boiling, attach a candy thermometer (if you have a digital most you cannot attach to the side…just keep reading it every 30 seconds with an instant read) and reduce the heat to a hair above medium low and cook for 7-10 minutes until your thermometer reads 234°F (soft-ball stage), stirring constantly. Once you reach 234F remove from heat and add the white chocolate chips stirring vigorously with a wooden spoon until all has melted and the mixture is smooth. Add the cake mix, cream cheese flavoring, cinnamon, and marshmallow crème and mix until well blended. Fold in the pineapple, banana, and pecans. I think I got about 20 pieces.